Two performance arts events took place this past week; the Factory Theatre Hour: Live Comedy Radio Show and Improv the Musical performed by Joyous Chaos. Both events were filled with individuals who thrive in environments where getting the audience energetic is the main target. 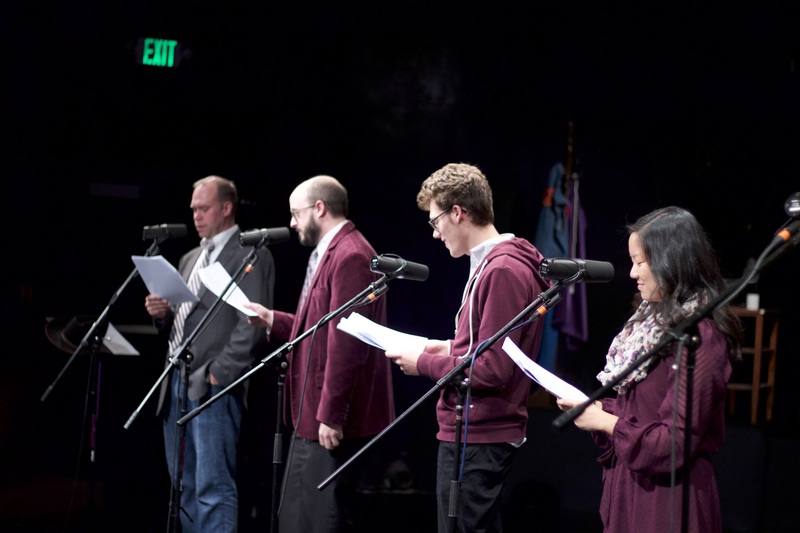 The Factory Theatre Hour team joined together Sunday, Nov. 15, at the Factory Theatre for a Live Comedy Radio Show. This is the theatre’s second live recording, which included four storylines and a chance to be a part of a live audience. 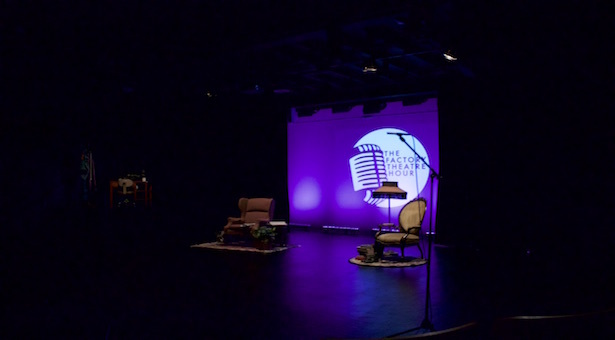 Writing and producing the storylines, the Factory Theatre Hour developed the Comedy Radio Show so there would be shows to go to in between the main stage theatre productions. Around 50 audience members showed up to this show. Senior Brittain Monroe shared her favorite part of the show stating, “In the storyline ‘Hero Central’ I get to play the anonymous caller who always calls in about some emergency that’s happening in town. She’s sort of like any adult character in the Charlie Brown movies–no one can understand their gibberish language. It’s always fun to just make up a language and use my tone and inflection to help people understand what this anonymous lady is freaking out about!” The Factory Theatre Hour is always looking for writers, sound engineers and voice actors who want to be a part of the production. Monroe added, “This is a whole new ‘thing’ on campus and it’s very interdisciplinary. We have audio engineers record and do sound effects, English majors write for us and community members act for us.” You can listen to the Live Comedy Radio Shows on the radio, download their podcast or watch it live. Joyous Chaos is a club on campus that puts on events for the entertainment of students, friends and family. On Monday, Nov. 16, the team put on a musical for over a hundred people. The audience chose the theme, which was “The Adventures of Plankman and his Invisible Troll”, and Joyous Chaos acted it out. Nate Bjorge shares, “This event was for laughs. Put simply, We are joy-filled and want to share it. Especially in these troubled times, one of the most powerful things we can do is make people laugh.” Last spring the team decided to do their first ever musical and the response was so positive they brought it back again. Considering this event is only the team’s second performance together of the year, Joyous Chaos is really satisfied in the direction they are going. Senior Bjorge explained, “My favorite part of the show was probably the first introduction of Mikhaela’s Santa. Genius twist of Santa, it was hilarious.” Freshman Corinne Weber stated, “Auditioning for Joyous Chaos has definitely been one of the best decisions I’ve made here at GC. As a newcomer, I’m still getting used to the spontaneity of everything, but there are some great leaders in the team who are always willing to give me advice. This team is more like a family than anything. It’s like hanging out with the rowdy, dysfunctional side of the family and I absolutely love it.” Joyous Chaos’ next show will be Friday, Dec. 11. Greenville College has many opportunities to get involved in performance arts. If you are interested in joining, or you just want to laugh, watch for upcoming events from GC’s Factory Theatre Hour and Joyous Chaos.